New Registered Educational Provider: Absolute Space Engineering Inc.
Absolute Space Engineering offers geomatic consulting services with specialization in 3D high-definition laser scanning. Singleton Urquhart’s Insurance Law Group will be presenting a seminar focusing on the following Insurance Law topics pertinent to architects, engineers and builders: builder’s risk, professional liability, general liability, and bonding. Location: Singleton Urquhart LLP, 1200 – 925 West Georgia St, Vancouver, B.C. This presentation by Franc D’Ambrosio Architect AIBC and following discussion will focus on case studies of processes of development permitting applications and subsequent approvals of designs for large-scale projects that are subject to community plans, development permitting and design guidelines. Recent experience in two jurisdictions will be used to examine the impact on the architectural and urban design of projects subjected to municipal bylaws, official plans and design guidelines. Date: April 7, 2015. Sign in / Lunch: 11:30am to 12pm. Presentation: 12pm to 1:30pm. Location: Cedar Hill Golf Clubhouse, 1400 Derby Rd, Saanich, B.C. Presented by leading experts in the field of construction procurement, this forum will provide a practical understanding of the procurement process from start to finish, as well as cutting-edge advice for addressing pressing issues facing the industry today. Owners and advisors will leave with an understanding of the best ways to approach procurement to meet the specific needs and circumstances of their projects, as well as useful tools to identify, reduce and address common problems arising throughout the procurement process. Potential bidders and proponents will leave with an understanding of the differences for them based on the various construction models and procurement processes available to owners, and how they can best position themselves in each scenario. Join IXL Masonry Supplies for an afternoon of AIBC accredited seminars. Adhered Masonry Veneers: Presented by Bob Proctor of I-XL Masonry Supplies Ltd. This training program discusses types and advantaged of adhered masonry veneers, installation techniques, the importance of proper mortar use, among other considerations. Designing with Concrete Masonry Veneer: Presented by Todd Cruickshank of Shouldice Designer Stone. This session will demonstrate several design options as well as current masonry veneer comparisons, crack control, differential of movement and mortar options along with other considerations. Designing with Brick: Presented by Rob Mutch of I-XL Masonry Supplies Ltd. This session will explain the benefits of clay masonry, describe available colours, textures, sizes and methods of clay brick manufacturing. Location: Gold Corp Centre for the Arts, SFU Woodward’s Campus, 149 West Hastings St, Vancouver, B.C. To register: RSVP to bproctor@ixlmasonry.com by Tuesday April 21, 2015. Those epithets soon may be passé. When the Museum of Modern Art opens its exhibition “Latin America in Construction: Architecture 1955–1980” on March 29, it will focus an intensifying spotlight on the work of the Italian-born architect and designer, who moved with her husband to Brazil in the 1940s and helped create the South American nation’s modern identity. 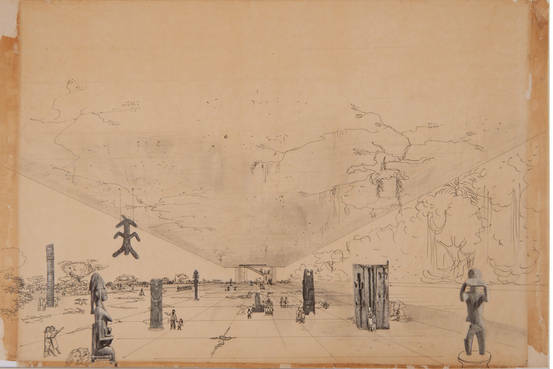 MOMA’s showcase, comprising original architectural drawings, models, photographs and films from the period, seems likely to further raise the profile of an architect who was an outlier in her own times, but has attracted growing international attention since her death in 1992. “A Lina Bo Bardi should be as famous as a Walter Gropius,” said Barry Bergdoll, a Columbia University professor, MOMA curator and co-organizer of MOMA’s exhibition. In his popular post on how architects can “work smarter, not harder,” Michael Kilkelly suggests that you should ”customize your tools to work the way you work” and “use macros to automate repetitive tasks.” Both sound very helpful of course, but wouldn’t those require you to to write some code? Yes – but according to Kilkelly this should be a tool available in every architect’s toolkit. 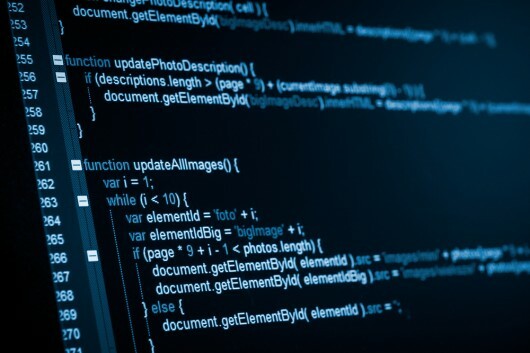 Originally published on ArchSmarter, here he offers 5 reasons that architects should learn to code. As architects, we need to know a lot of stuff. We need to know building codes, structures, mechanical systems, materials. We need to know how to read zoning codes, how to calculate building area, how to layout office floor. The list goes on and on. Do we really need to know how to write computer programs as well? Given the digital nature of architecture and design today, learning to code is an essential skill for the architect. Architects are knowledge workers. Virtually all of our work is created on the computer. We typically use off-the-shelf applications to do the majority of our work. However, many of the problems we need to solve don’t fall within the abilities of our software. Our applications don’t always work well together. We need tools that work the way we need them to work. The Annual Meeting agenda allows for a Members’ Forum segment. In 2015, the Members’ Forum is scheduled before the end of the Annual Meeting, time permitting. If held, the Members’ Forum will be an opportunity to raise, discuss and debate issues of interest of concern to the profession. It is intended as a civil, collegial discussion amongst architects, associates and members of AIBC council. The Members’ Forum also provides the opportunity for members to bring forth new ideas and fresh perspectives in the form of advisory motions to council (“Members’ Motions”). Such motions must be properly constructed, concise, complete, unambiguous and in writing. While strictly advisory in nature and not binding on AIBC council, Members’ Motions that meet with the support of the membership will go to council for its consideration. All Members’ Motions received will be directed to the Motions Review Committee, a group of members who will ensure they meet the above-noted criteria; are clearly understandable; and are consistent with the Architects Act, AIBC bylaws and the AIBC Code of Ethics. While it is recommended that Members Motions be submitted by 24 April 2015, additional motions may be submitted to the CEO (Executive Director) or a member of the Motions Review Committee up to 30 minutes after the Annual Meeting has been called to order. Anyone bringing forward a motion must have a written version of the proposed motion in hand at the meeting, and be prepared to speak to it, with a seconder already identified. For further information, refer to the AIBC 2015 Annual Meeting Protocols which includes the Members’ Forum Protocols. In the event that time does not allow for all Members’ Motions to be heard, any motions not aired at the annual meeting will still be considered by AIBC Council.